This self-paced online course satisfies the new CILB Wind Mitigation Methodology requirement. This course takes a look at new roofing code requirements to improve the structural integrity of roofing systems during the retrofit process. Course Completion and Reporting: Upon successfully completing this course you will be able to print the hard copy completion certificate for your records. For state-certified licensees, Gold Coast will electronically report your completed CE hours to the DBPR and the appropriate boards for you. 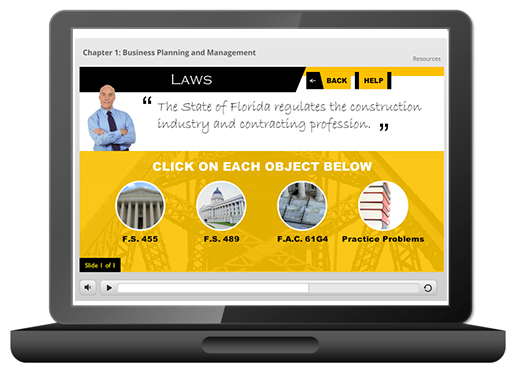 Course Expiry: This online course expires two years from the date of purchase. However, your completion certificates will remain indefinitely. System Requirements: Our courses are designed to run on most computers and mobile devices. If you have trouble with a course, our technical support team is ready and willing to assist. To view system requirements, Click Here! For complete packages containing all the required renewal courses click: View Complete CE Packages! View Course Approvals: Click Here!